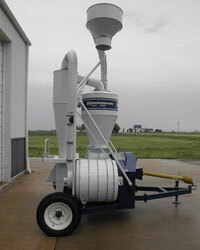 KongSkilde – Kohlbrecher Equipment, Inc.
Kongskilde has been developing and manufacturing grain blowers since 1949 and is today one of the leading producers of grain vacs worldwide. Kongskilde offers a wide range of electrical and tractor powered grain vacs with capacities up to 5,000 bushels of (120 tons) grain per hour. There is a suitable blower for every job. 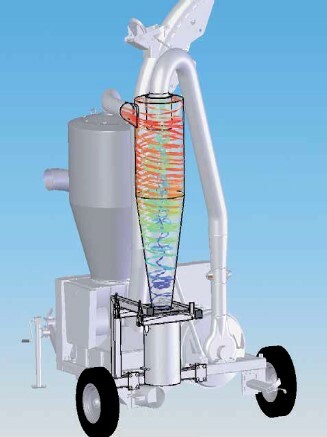 Grain vacs are used for conveying most commodities in nearly all facets of agriculture. Whether the job is loading trucks from the field piles, bunkers or filling grain bins, flat storage or tower silos, Kongskilde offers a variety of machines for all tasks. 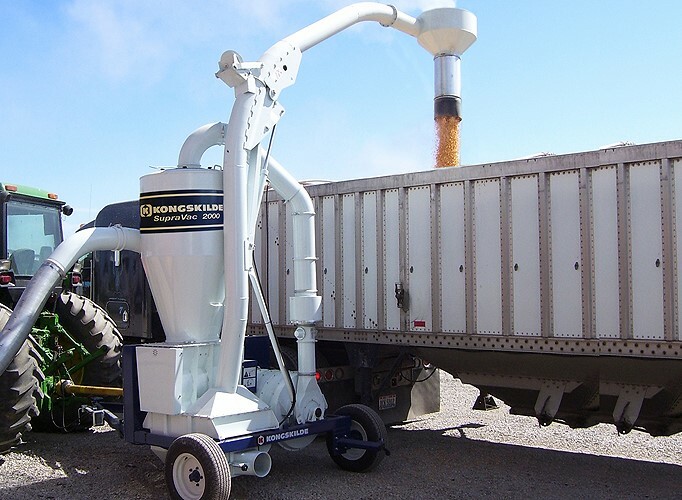 Grain vacs are equally utilized for load out work – directly from the grain bin unload auger tubes right down to final clean up. Crops such as soybeans, peas and edible beans that contain a lot of abrasive foreign material often accelerate wear on of the blower unit. 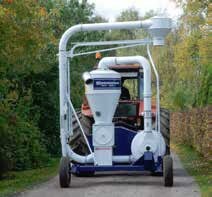 Kongskilde has developed the Fan Guard System to enhance the life of the blower when conveying such crops. The Fan Guard System removes the majority of the dust and dirt particle from the air stream before they reach the blower housing.